Here's just a few of the challenges that I have chosen to tackle over the last few years. If you know me, you know how much I love a challenge. I truly believe that pushing yourself beyond your perceived limits is the ultimate way to discover who you truly are. Each year, I try to find a 100-mile race that takes me to a new place and offers up a challenge. 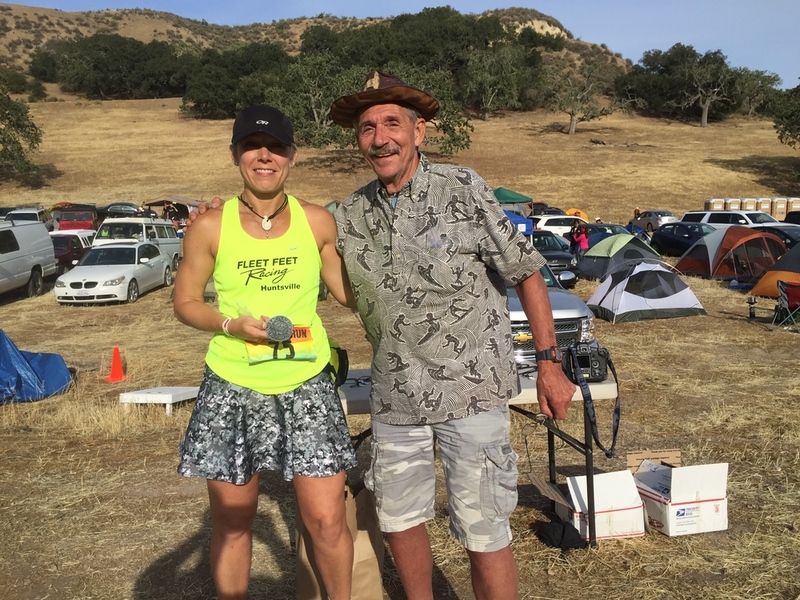 In 2015, it was the Born to Run 100 in California. Yep, I competed in my first physique competition in 2015. It was an experience, to say the least. I have always wondered if I had what it took to step up on a stage and compete in a bodybuilding/physique show. So, as soon as I returned from running the Born to Run 100 in California, I decided to see if I could handle this challenge. I hired a well-know coach who has had huge success in her own career, as well as researched and talked to as many people as I could who had experience in competing. I got laser-focused on this goal, which wasn't too hard when you consider the size of the TINY suit that I had to put on and get judged in. When I decide to do something, I commit 100%. I spent endless hours planning out meals, prepping my food, and working out. The workout aspect was easy for me. I love being in the gym and lifting heavy. I think that muscle is a beautiful thing and that more women could benefit from regular strength training. You don't want to get bulky? Look at my contest pics. Do I look "bulky" to you? I worked HARD for 18 weeks and got down to about 8% body fat the week of the show. We traveled to Charleston, SC, for the event, which was an adventure in itself. This was the same weekend that the east coast, South Carolina, specifically, was hit with some of the worst flooding in history. Great. The show went on and I made it through successfully. I never imagined how confident I would feel up on that stage. I never felt nervous. It was so strange. I guess I knew that I was ready and that I had done all that I cold to prepare. It was up to the judges at that point. I smiled as much as I could and made eye contact with every person involved, letting them know that belonged on that stage. I was thrilled when I won the Novice Class, then came in 2nd in the Master's Class. If you want to go back and follow my experience from preparing for the show, all the way through to my thoughts afterward, check out my YouTube channel. In 2017, I fell in love with obstacle course racing! I was looking for a new challenge, and the idea of being able to blend my love of trail running with the concept of strength and agility training fit perfectly! I ran the Barbarian Challenge in Gadsden, Alabama in 2017 and was totally hooked! I then went on to several Spartan races, ultimately, getting my Spartan SGX Coaching Certification in October, 2018. I will be doing my longest race to date in mid-November and can’t wait! It’s the Spartan Beast! Plans for 2019 are to tackle the crazy Spartan Ultra Beast distance!